Scot has an extensive real estate background beginning in 1982 as a real estate salesperson then in 1985 earning his California Brokers License. In 1989 Scot relocated to Oregon and quickly became a consistent multi-million dollar producer. Scot received numerous Top Listing and Selling Awards with a major franchise organization in the Pacific Northwest. 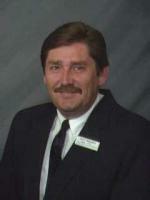 Today, Scot is a Principal Broker at RE/MAX Professional Realty in Roseburg Oregon. The office has been serving Douglas County since 1992 and continues to be a leader in sales and service! If you are considering a career in real estate, give Scot a call.